For me, there is almost nothing worse than that moment of perceived betrayal when somebody places their unfounded judgment upon me. And in my world, it’s all unfounded. Point is — I really hate to be judged unfavorably. I become indignant, retaliatory, even rageful at times. (It’s not pretty). And the impact increases exponentially when the criticism is from a close friend or (gasp!) romantic partner. 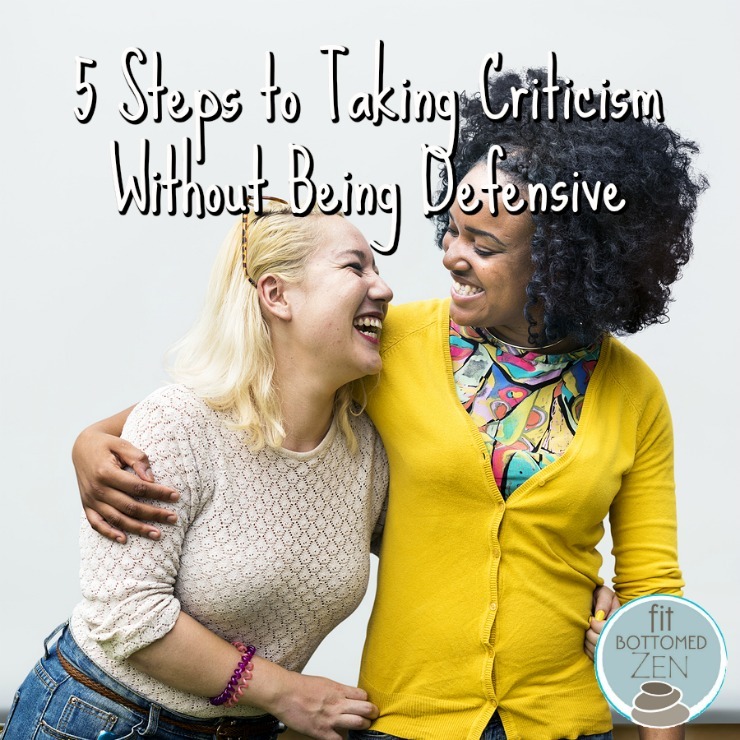 So, the work of taking criticism without being defensive is absolutely critical to my personal development. Then we should probably figure this out. First of all, get in the habit of taking a few moments before responding. If it’s an email or text, don’t reply just yet. (And certainly don’t hit send!) If it’s on the phone, let them know you need to go and you’ll call them back later. If you’re in person, it’s a bit trickier … but find a way to take a break from the conversation it at all possible. Next, consider that their feedback may not be about you at all. While it’s not your job to sort out their self-awareness for them, do realize that much of what they’re saying can be about them and not about you. Often, when people have harsh criticism to shell out, they’re reacting to something within themselves. Regardless of the validity of the criticism, mine their words for any gem of truth. We’ve all got room to grow. Is there even the faintest hint of wisdom in their words? Is there perhaps just a tiny micro-validation that you can offer about their observation? Think empathically about what matters to them. What values are they speaking to? Even if you still disagree with their feedback, do you share their values? Perhaps you can tell them so. Determine if there are any requests. Do either of you have any favors to ask of the other? Again, even if you’re still not into their original feedback, there may be some action you can take (or stop taking) in order to meet them where they’re at. Or maybe once you’ve considered all of these things, you’ve found that you have a request of them. Try making it. Ultimately, very few people are enlightened enough to give completely unclouded feedback. And honestly, if you’re truly into growth, it can be a great gift when you receive it. Be prepared.